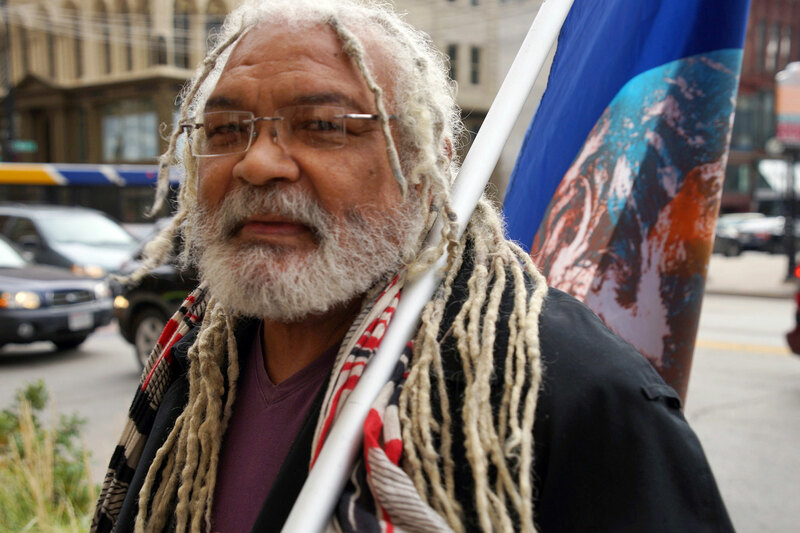 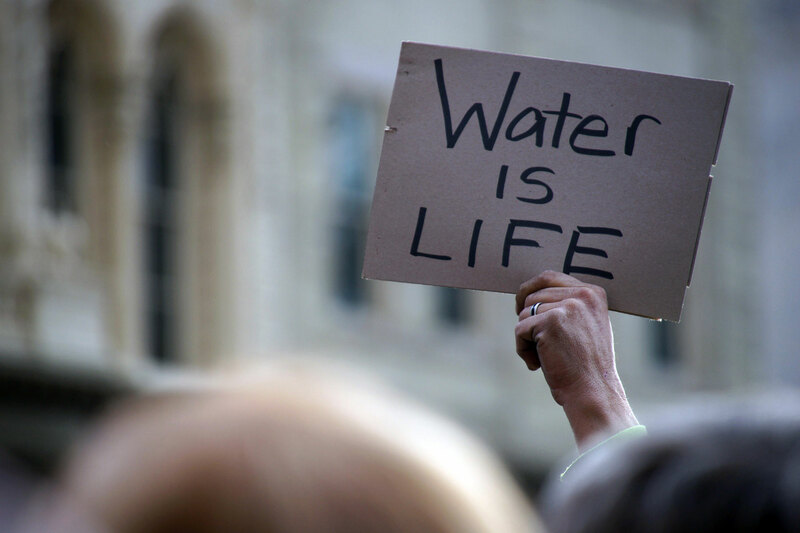 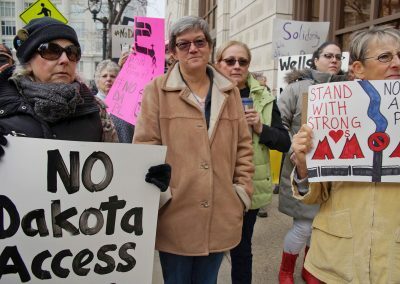 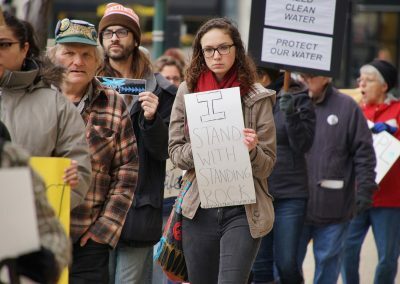 The Standing Rock Sioux in North Dakota have been joined by more than 300 other tribes, and supporters from all walks of life. The peaceful, prayerful encampment of water protectors has been repeatedly attacked by a private security company with attack dogs, sprayed with tear gas, and fired on with rubber bullets by militarized police. 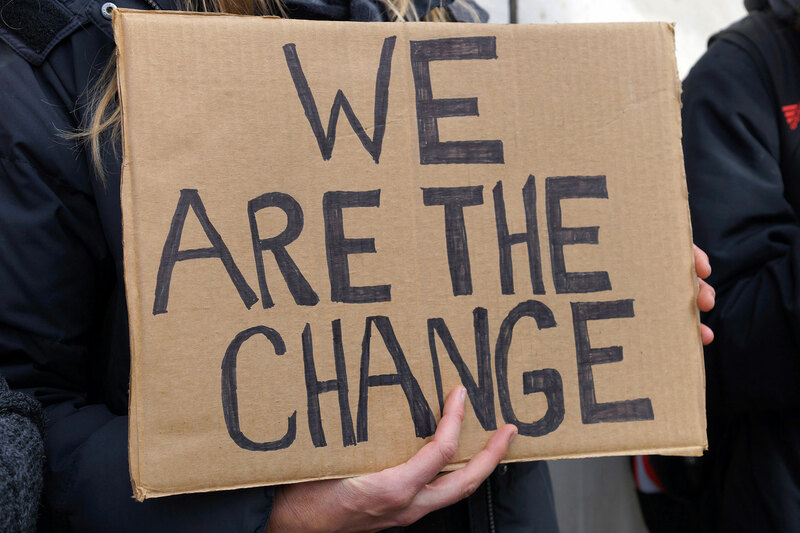 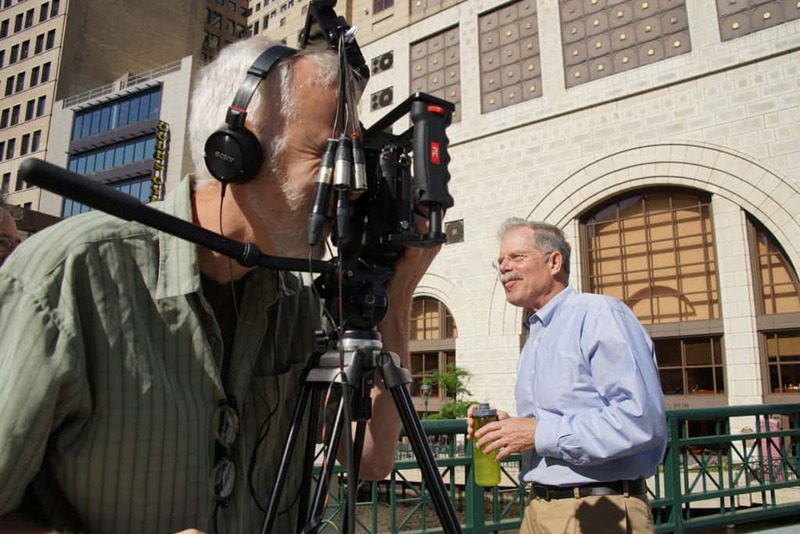 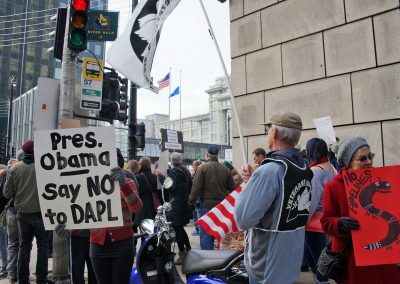 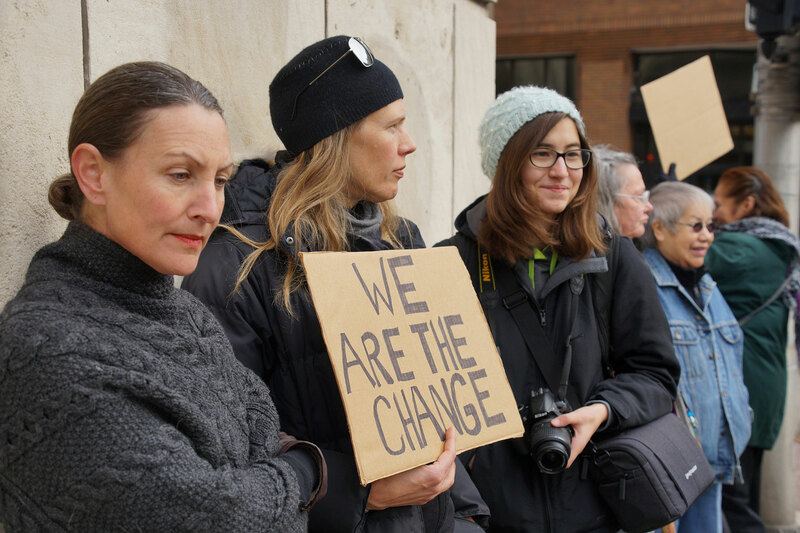 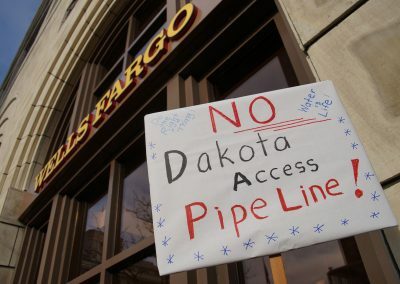 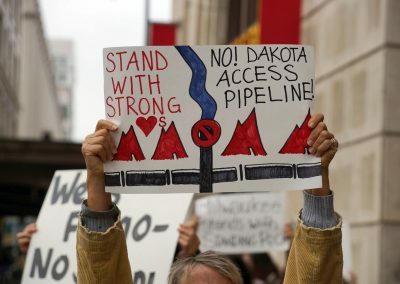 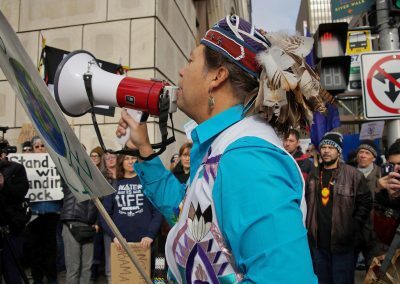 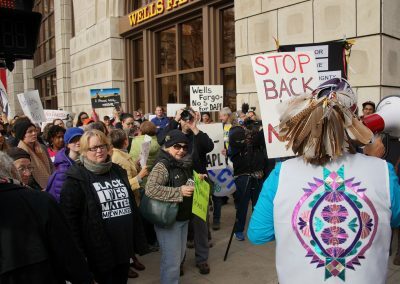 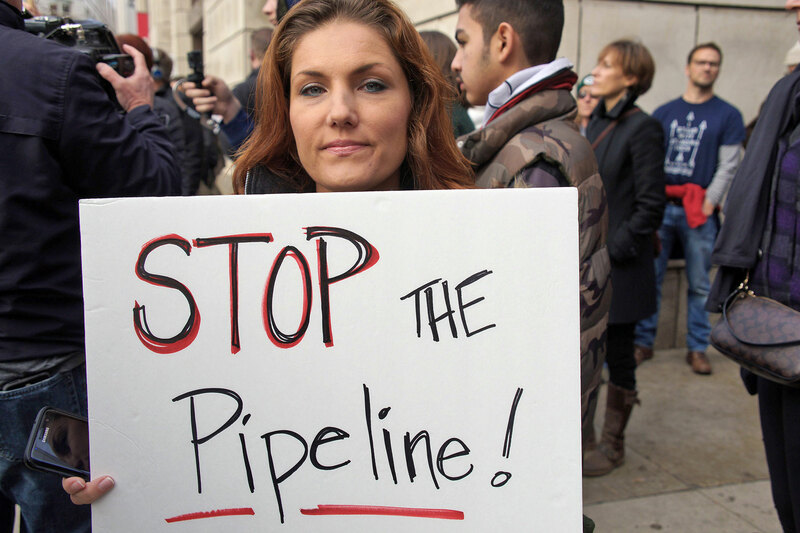 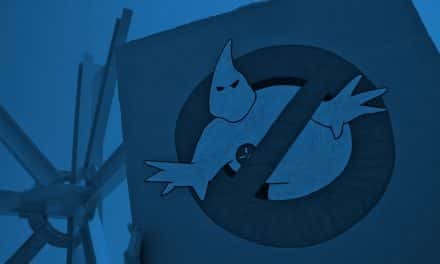 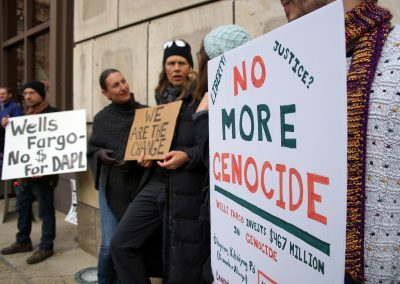 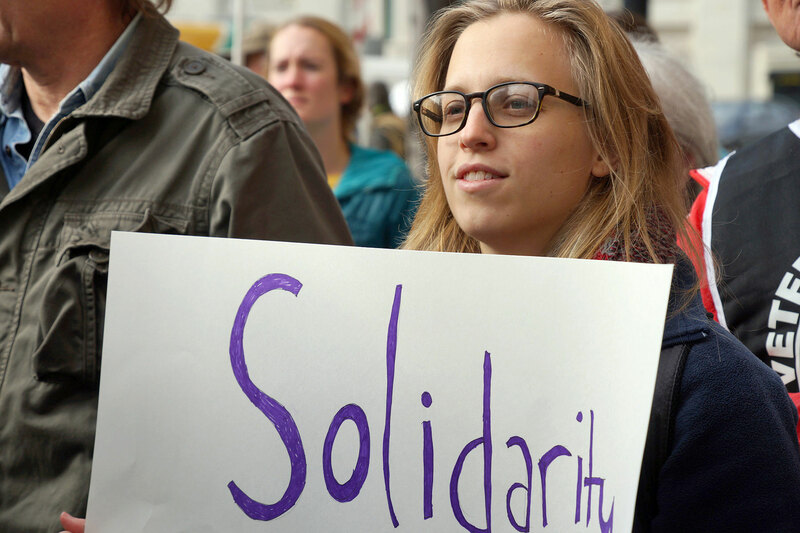 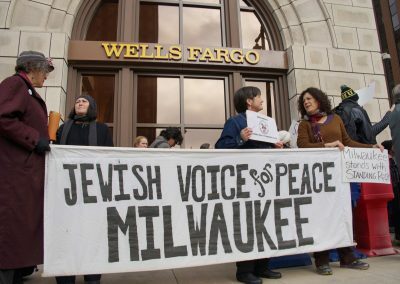 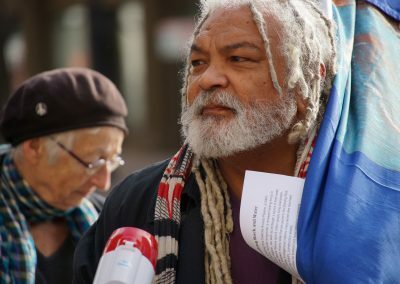 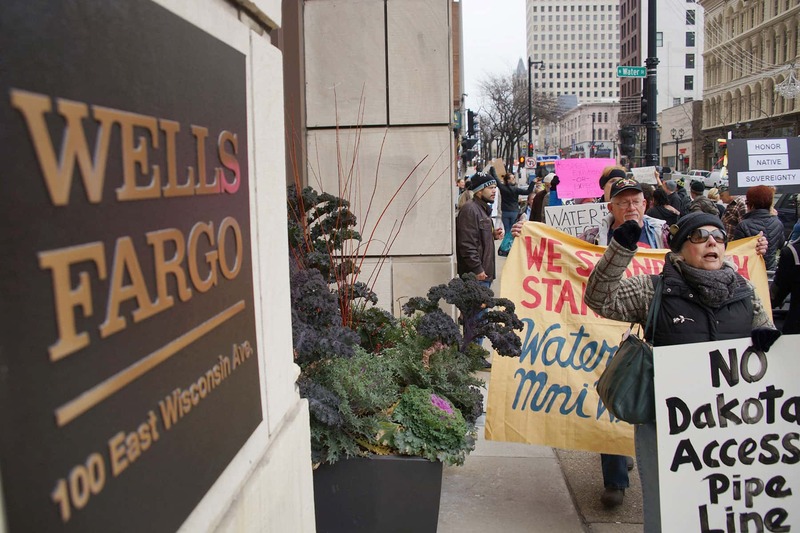 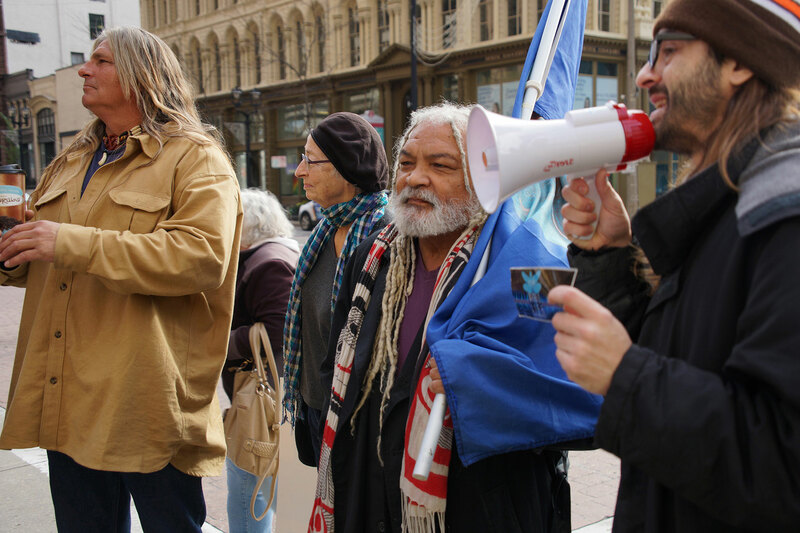 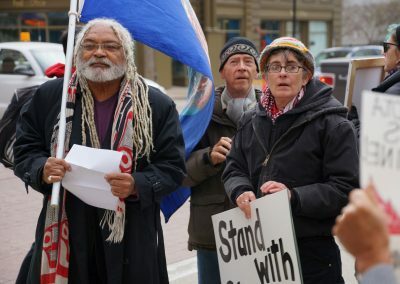 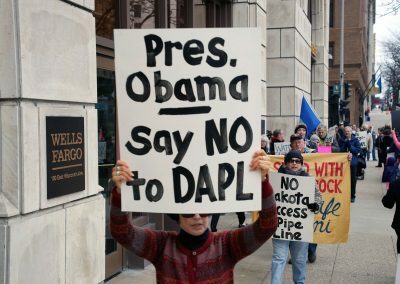 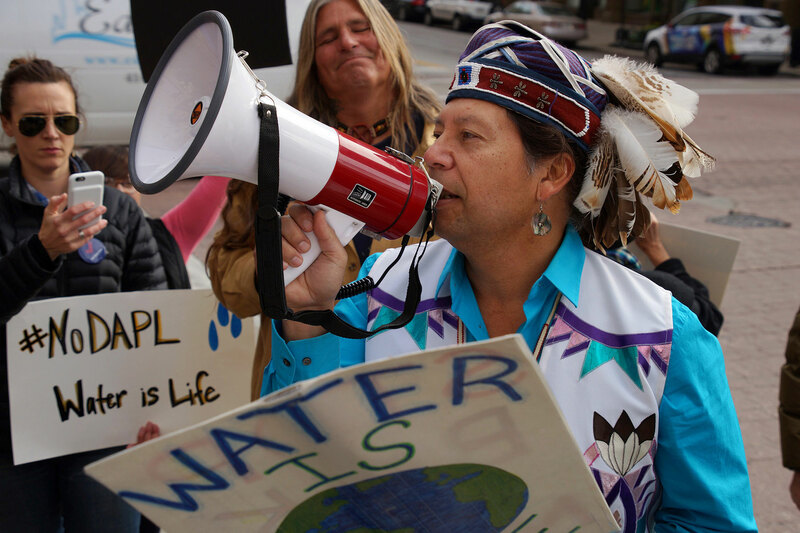 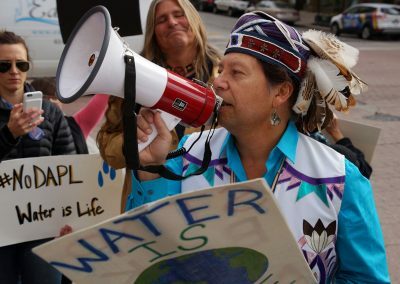 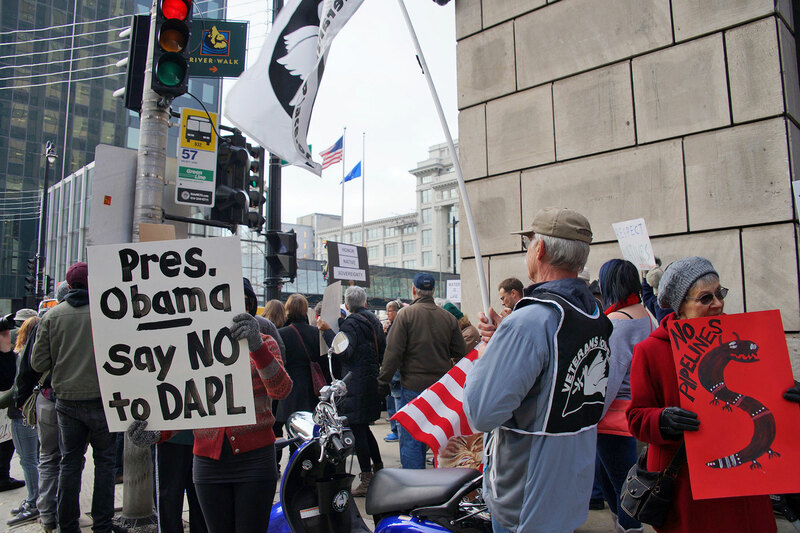 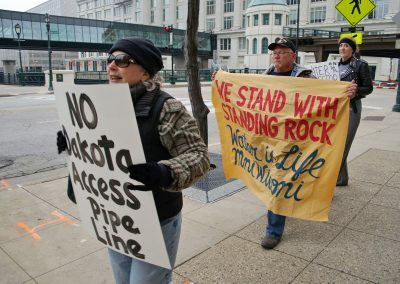 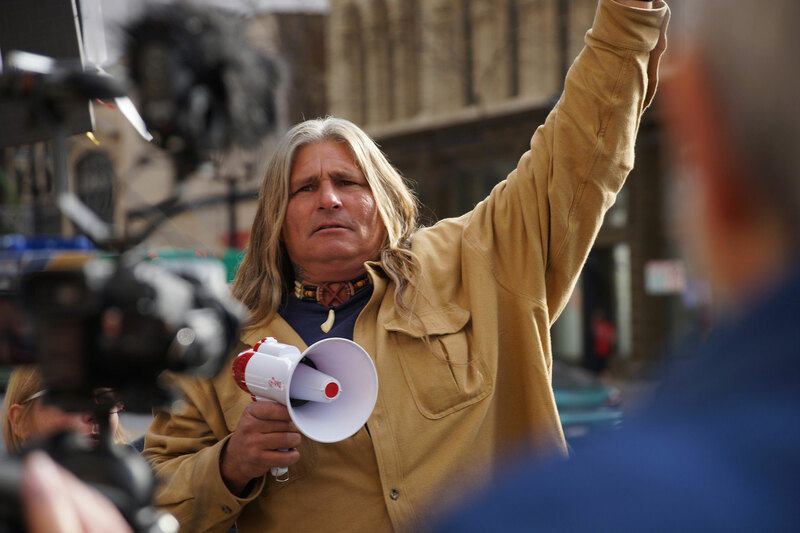 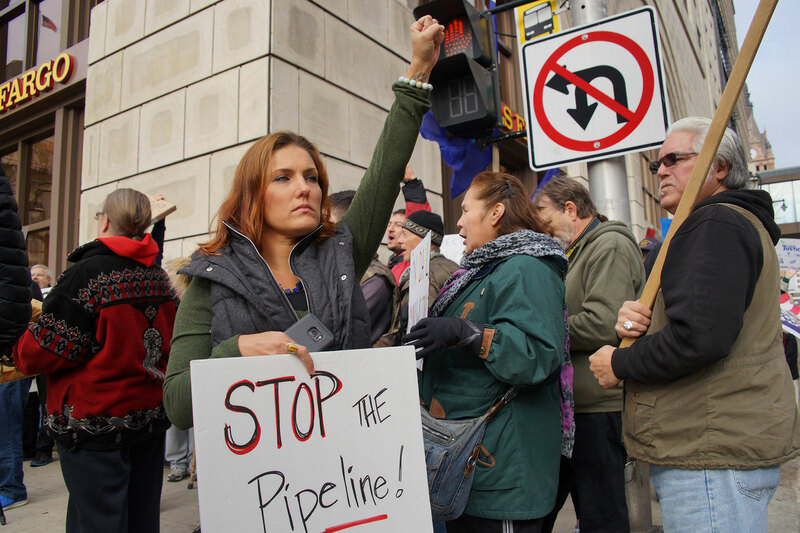 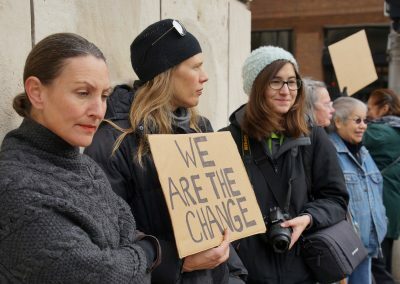 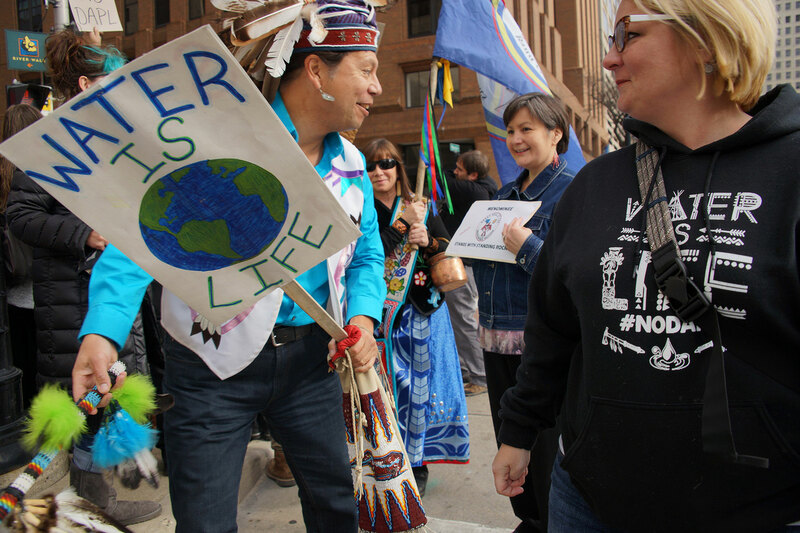 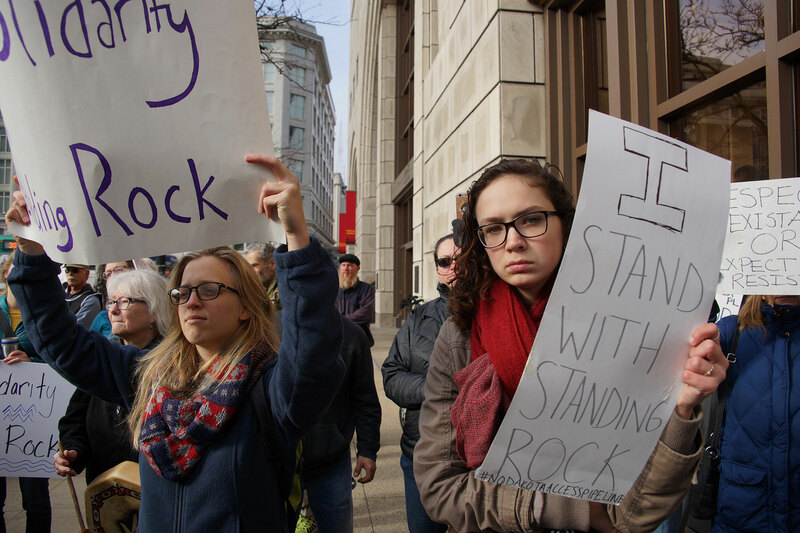 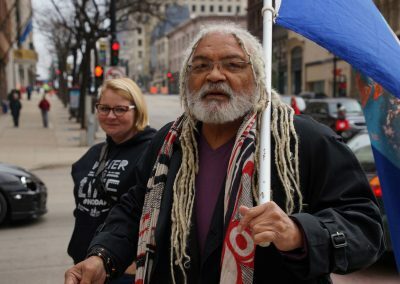 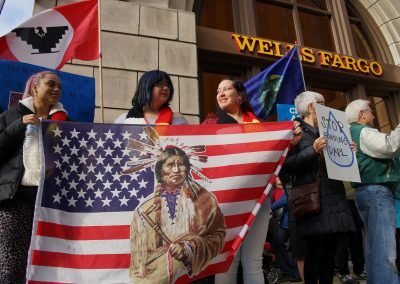 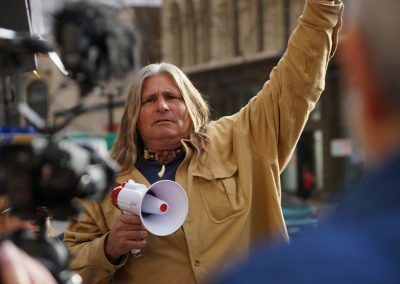 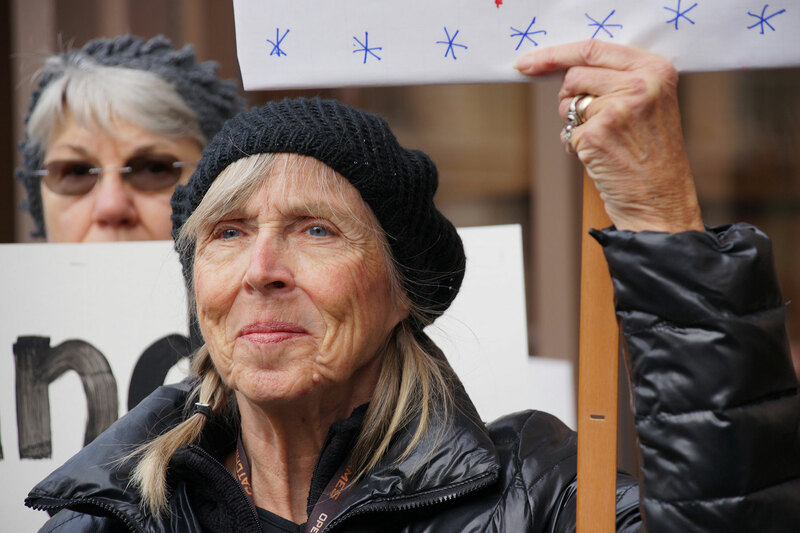 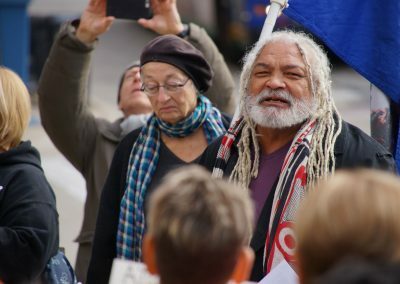 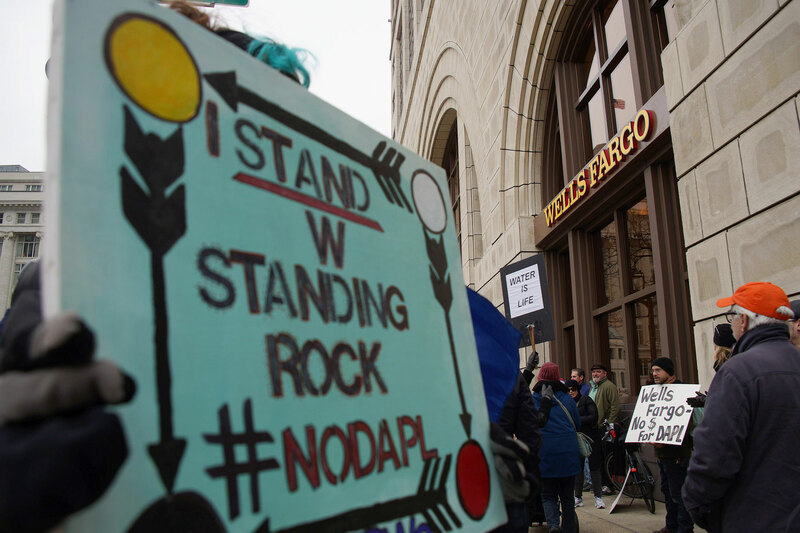 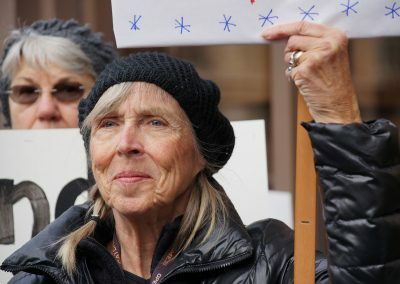 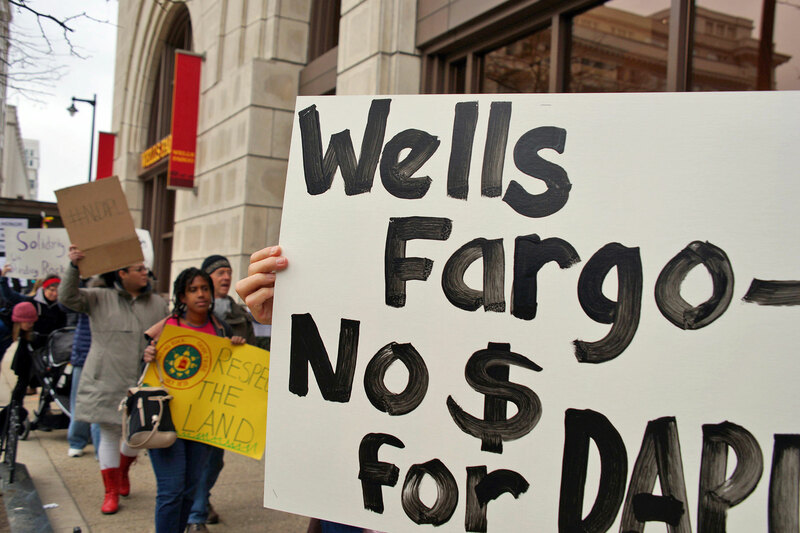 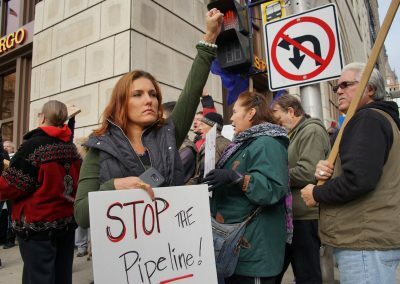 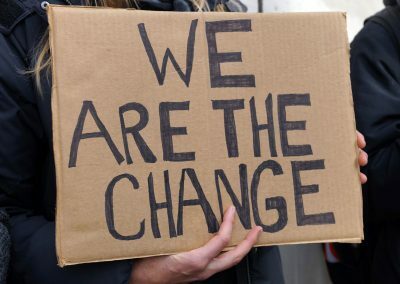 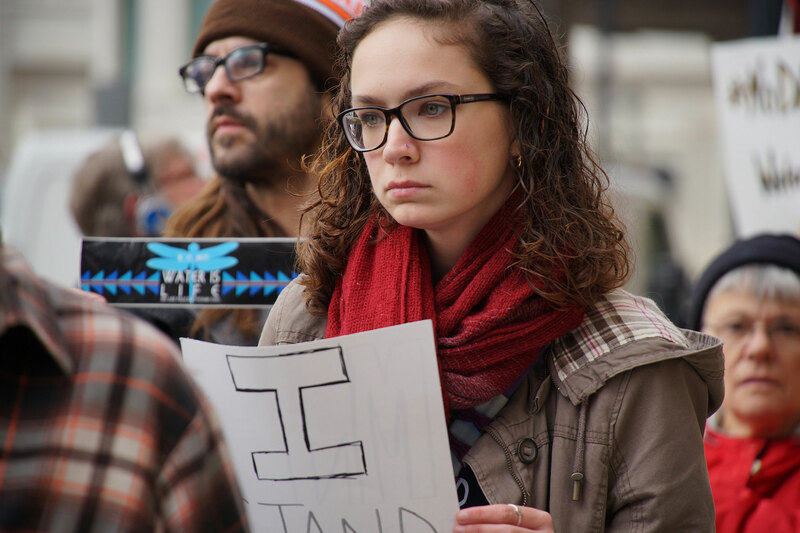 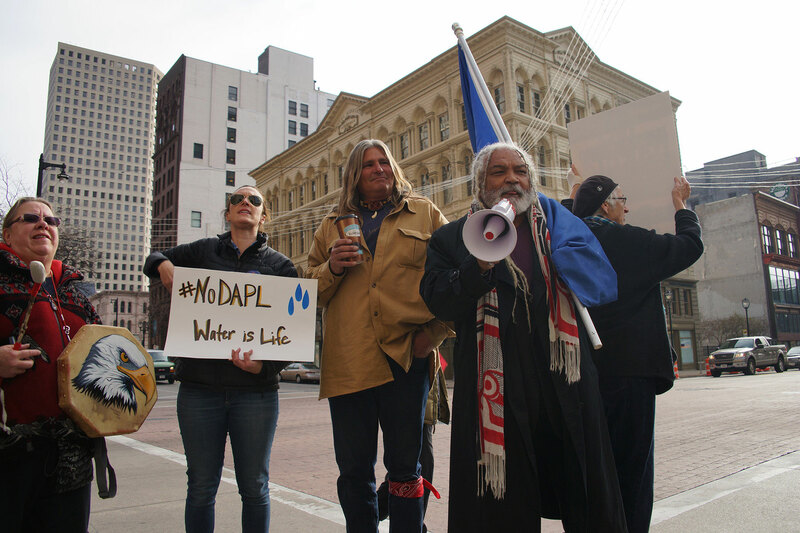 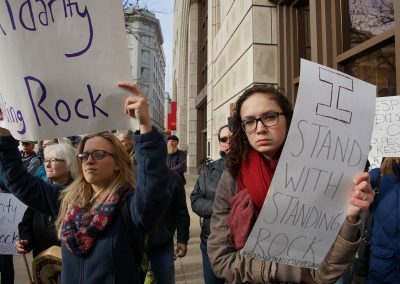 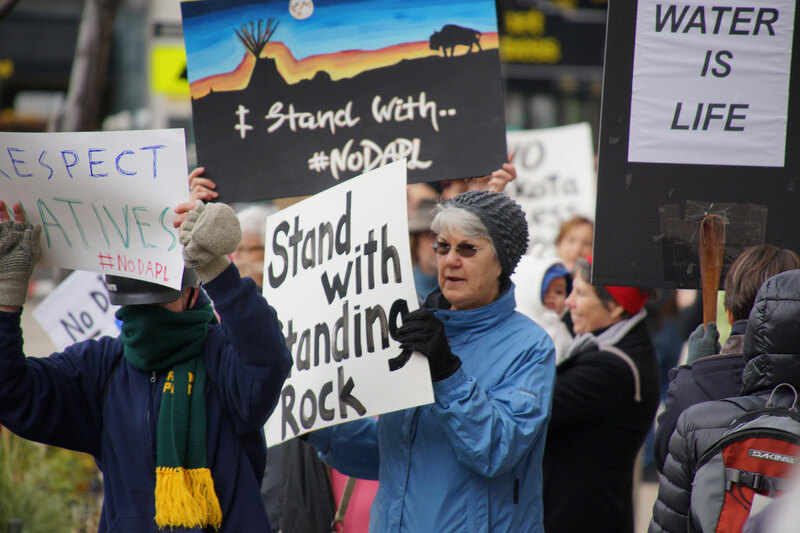 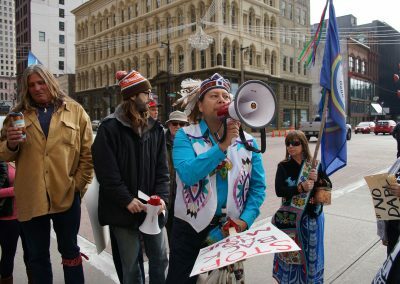 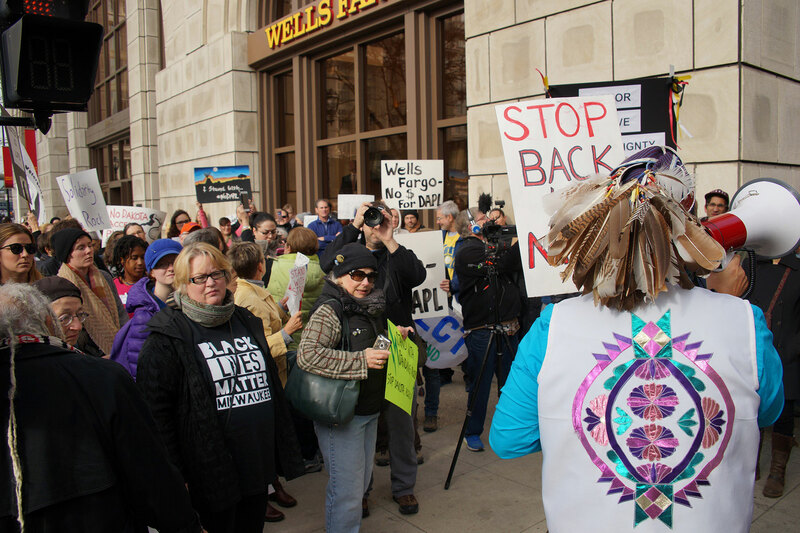 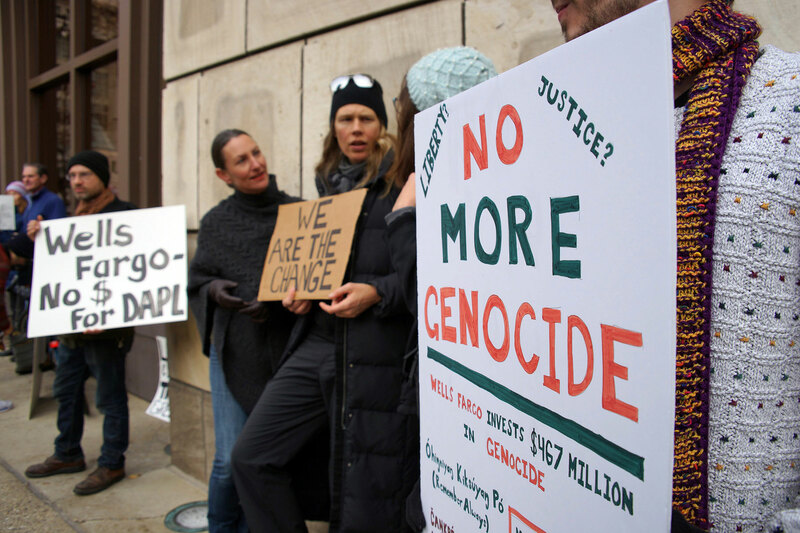 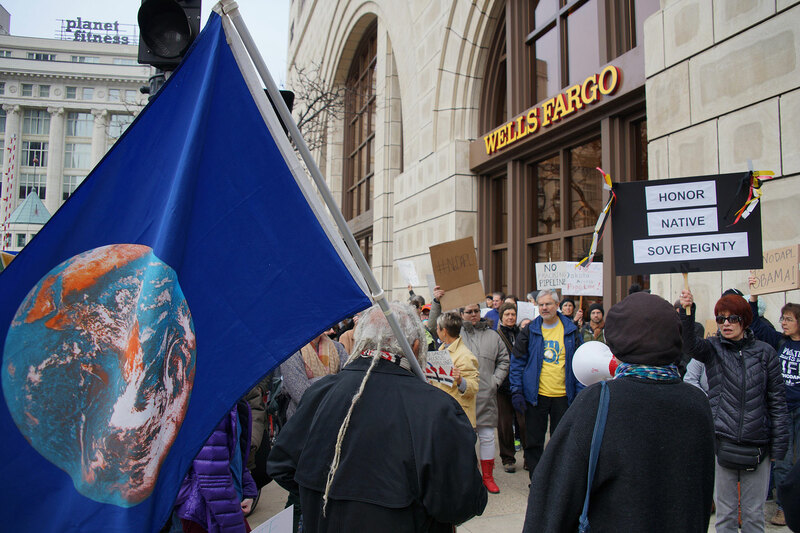 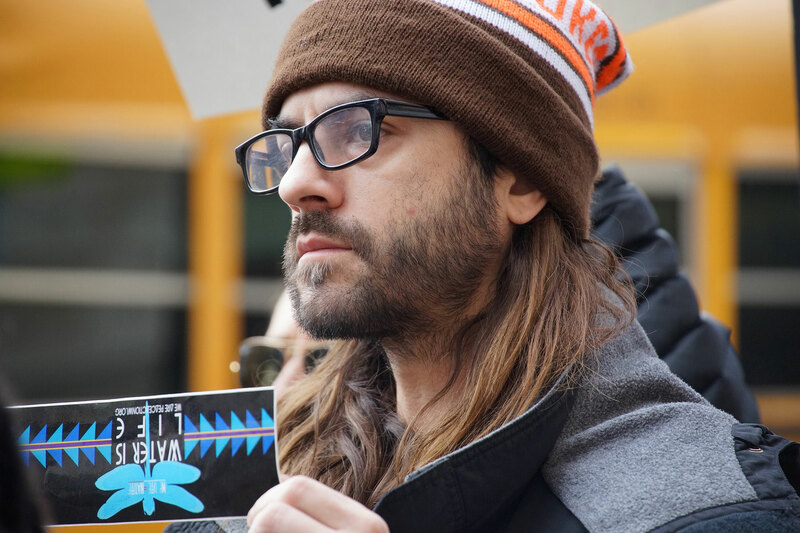 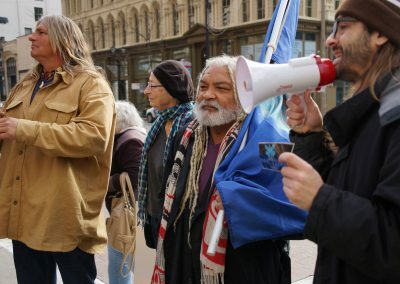 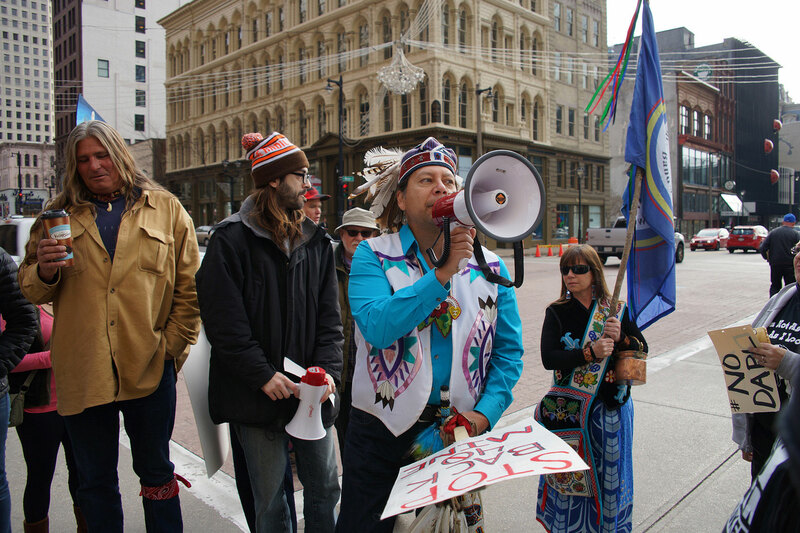 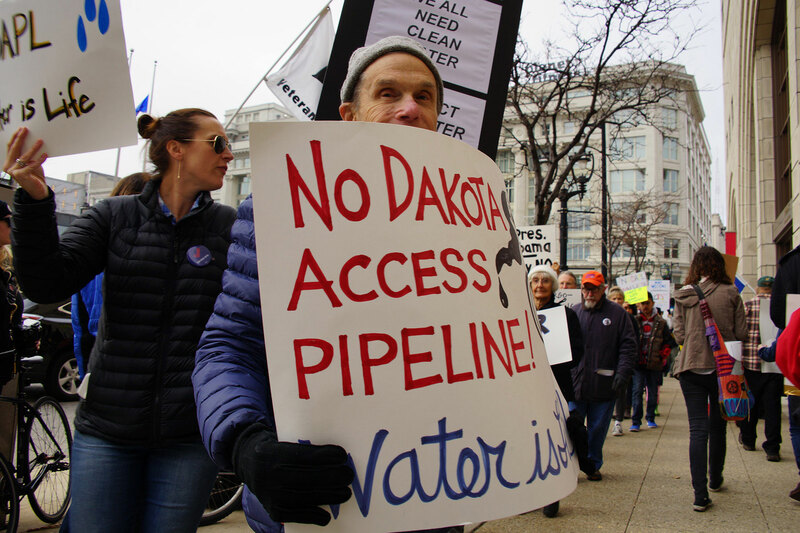 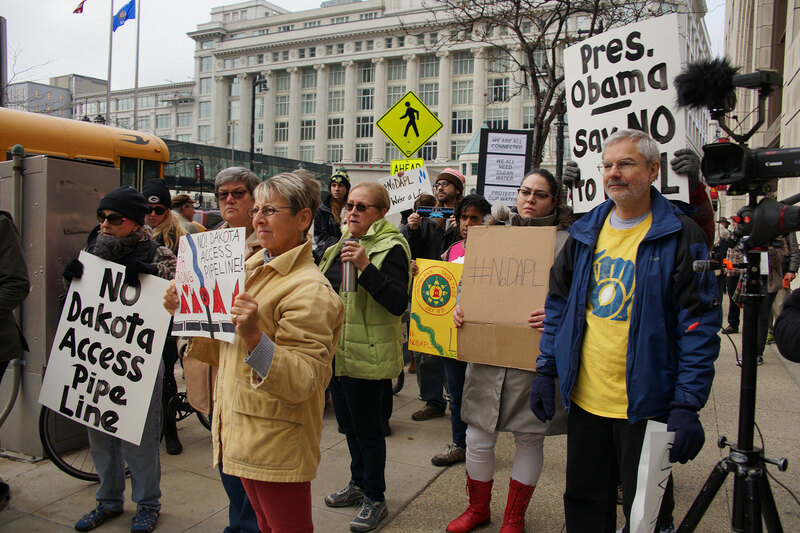 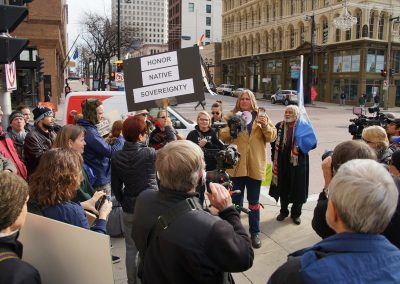 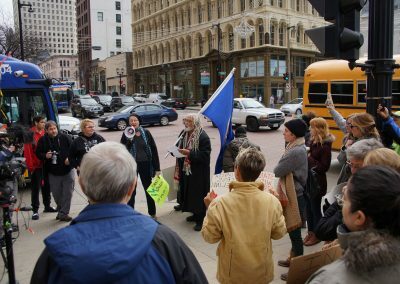 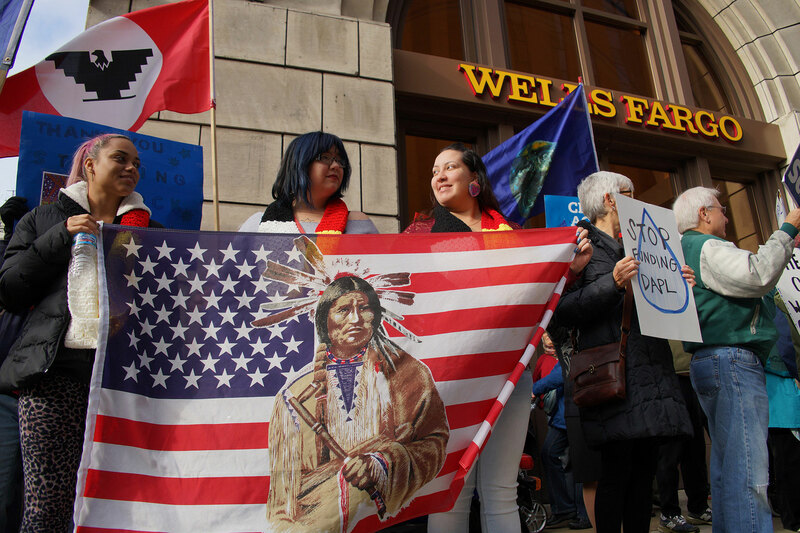 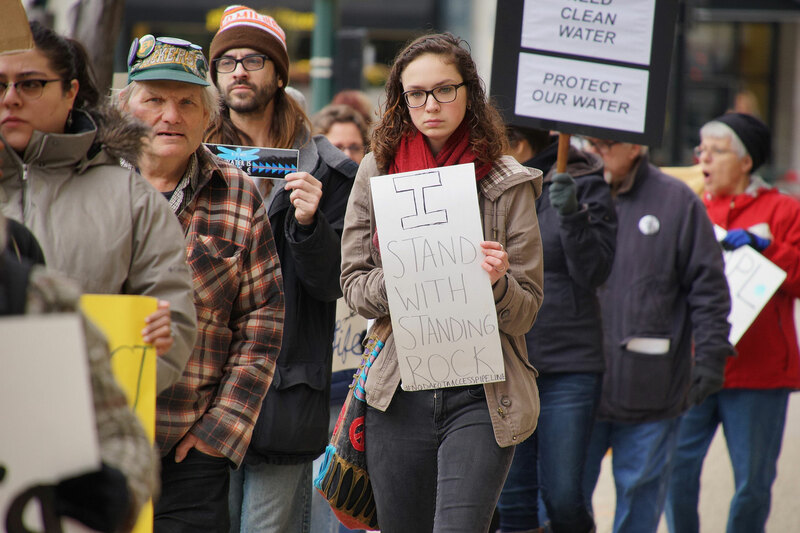 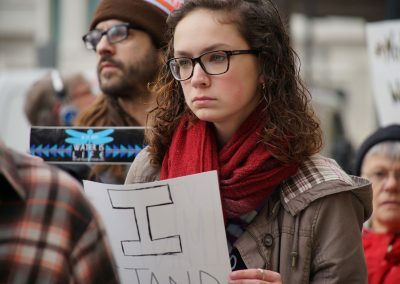 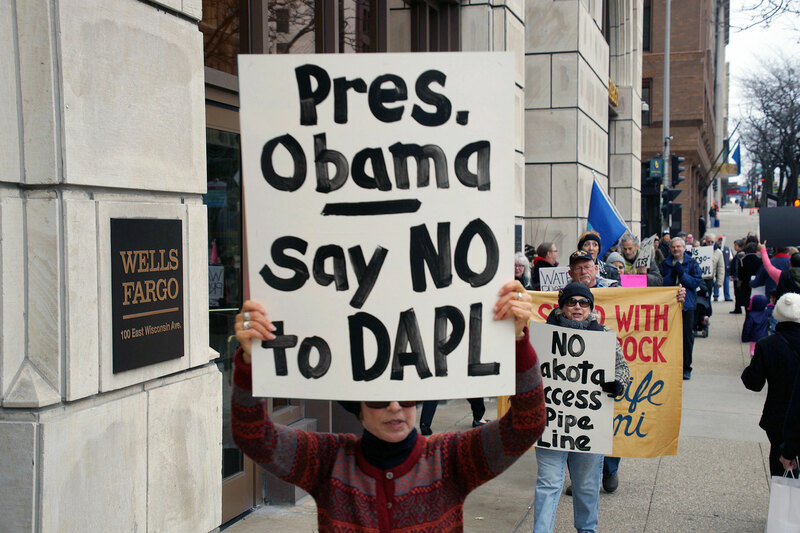 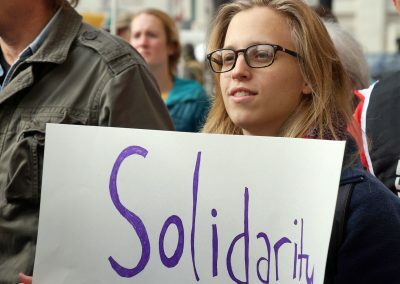 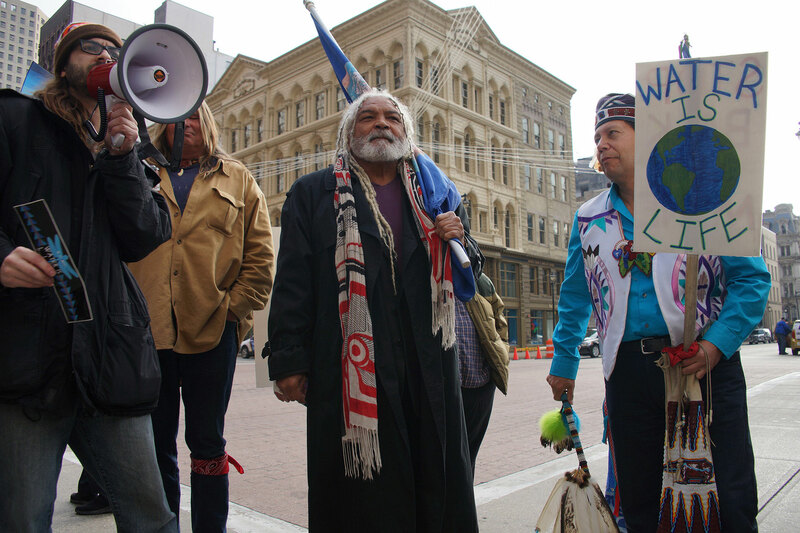 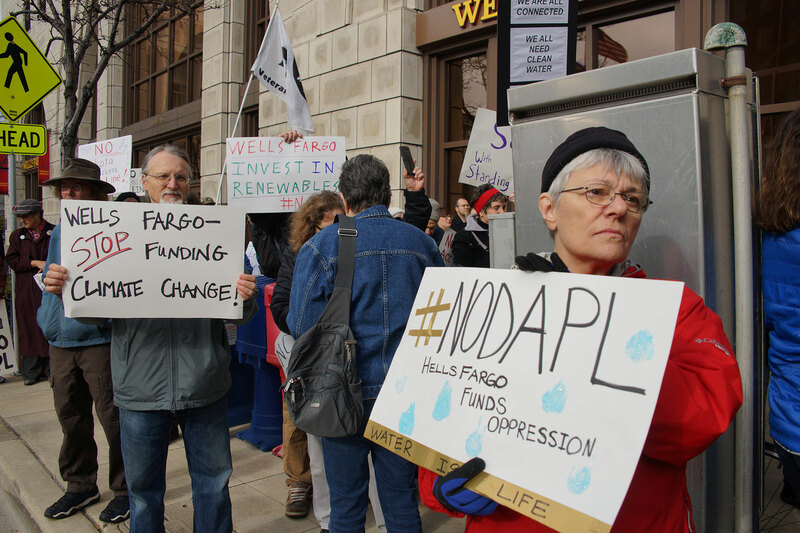 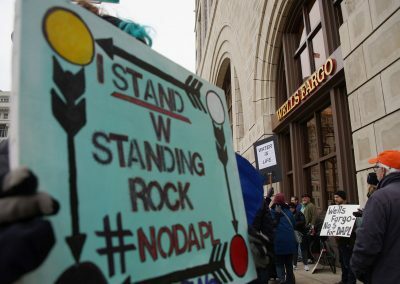 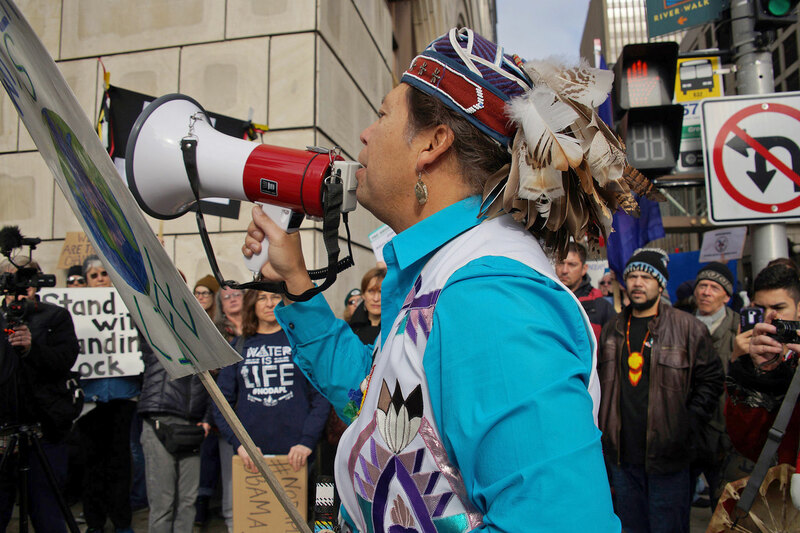 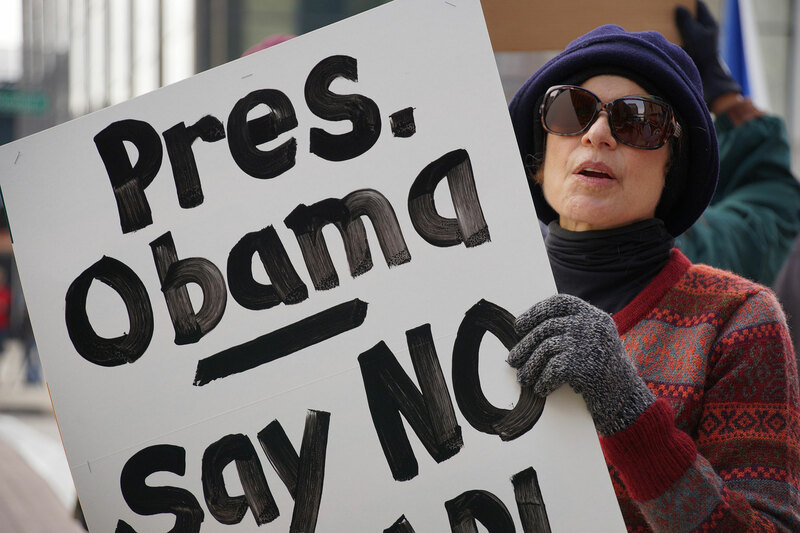 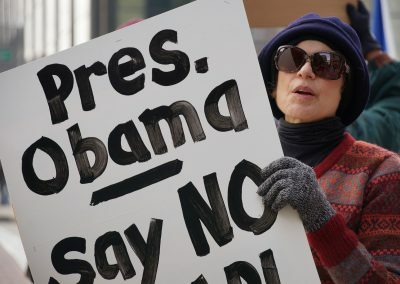 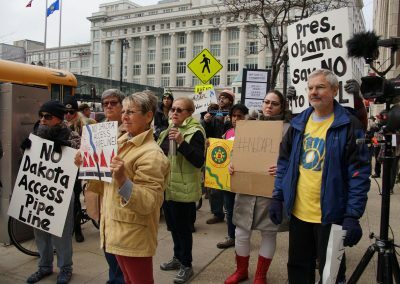 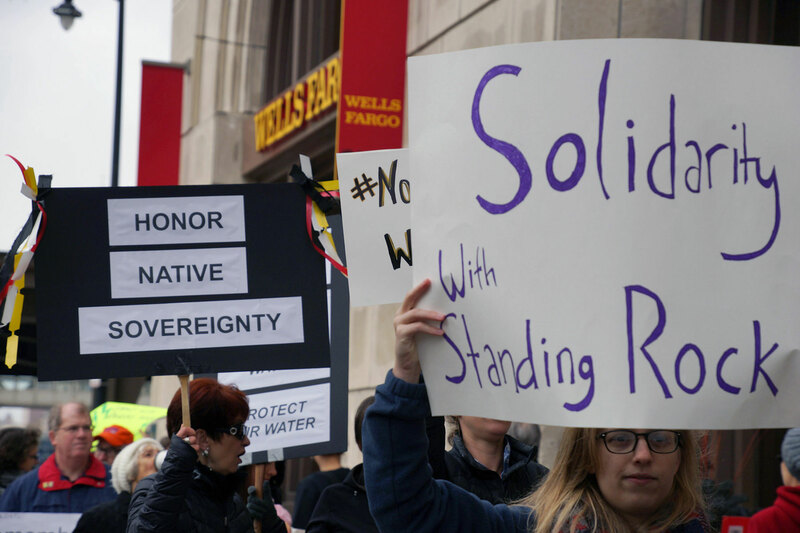 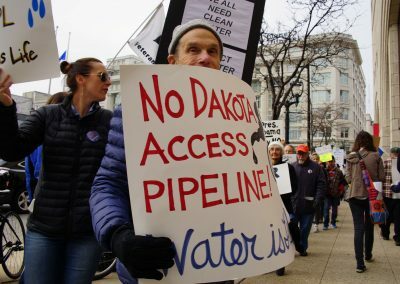 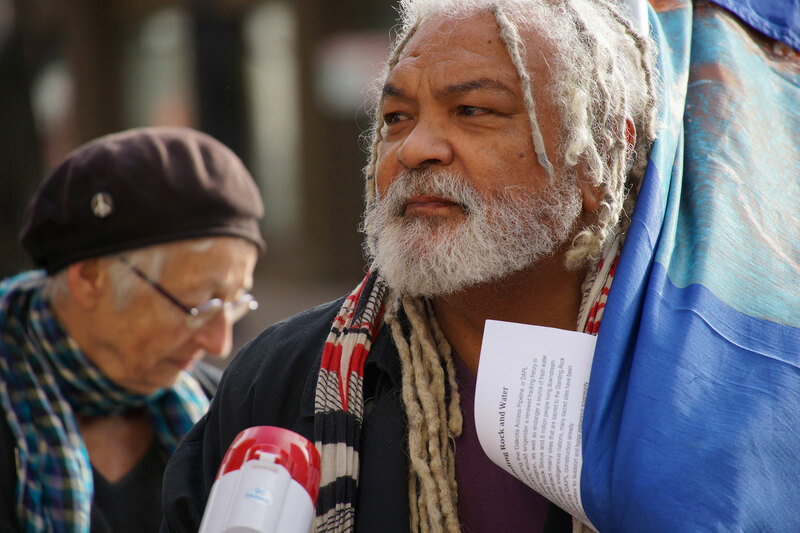 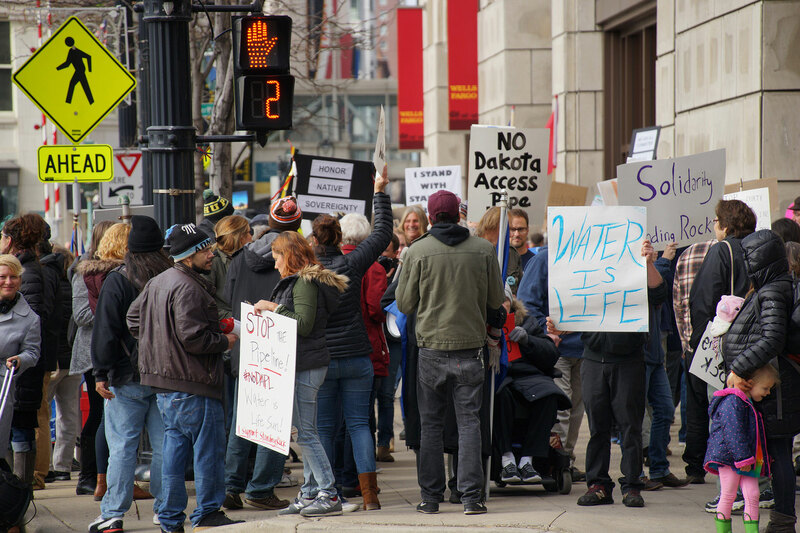 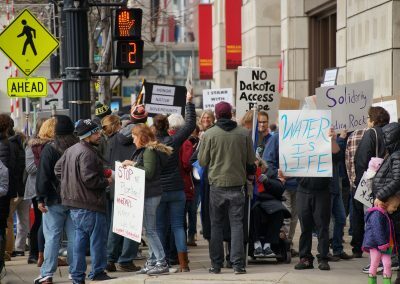 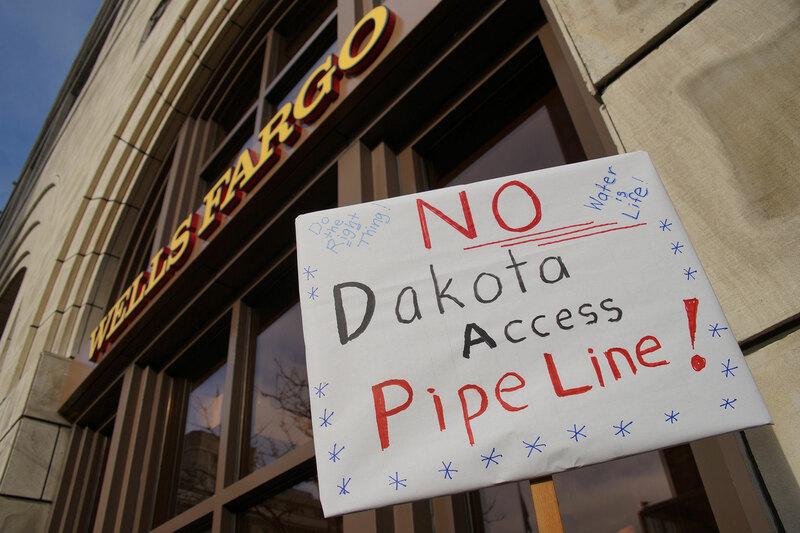 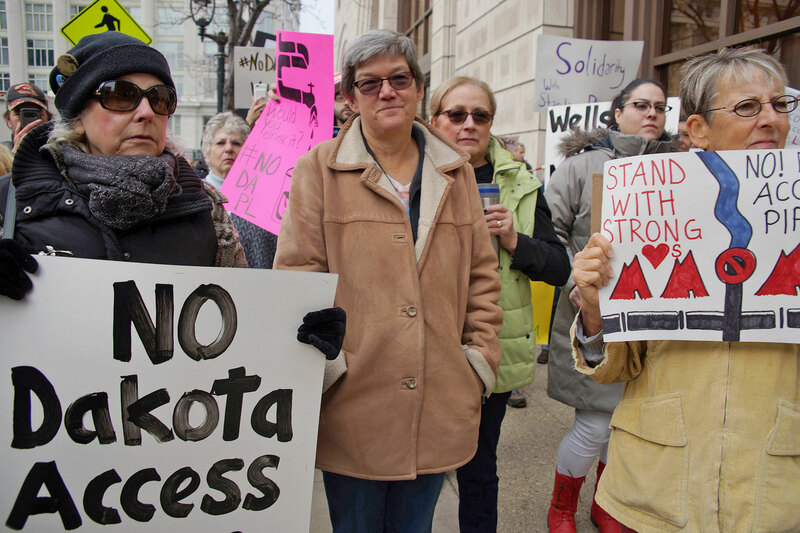 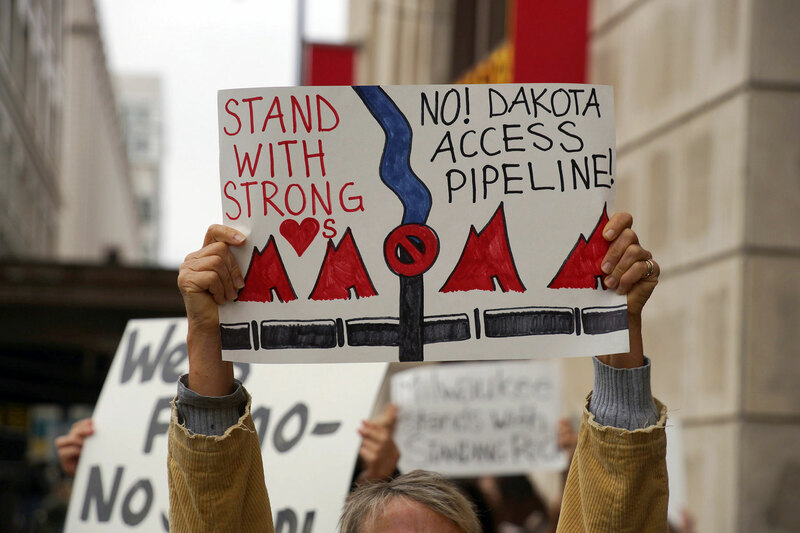 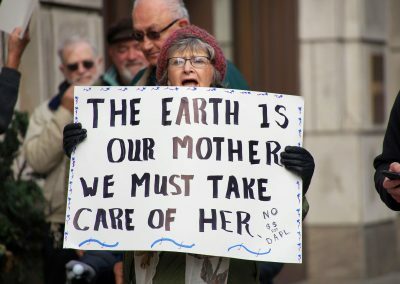 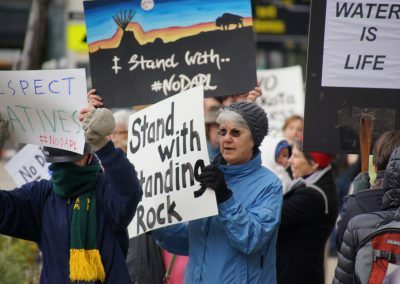 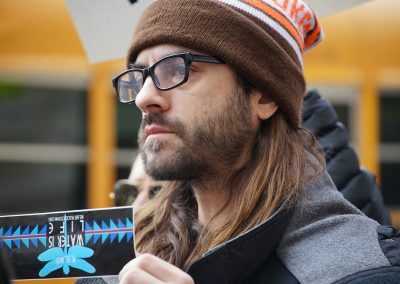 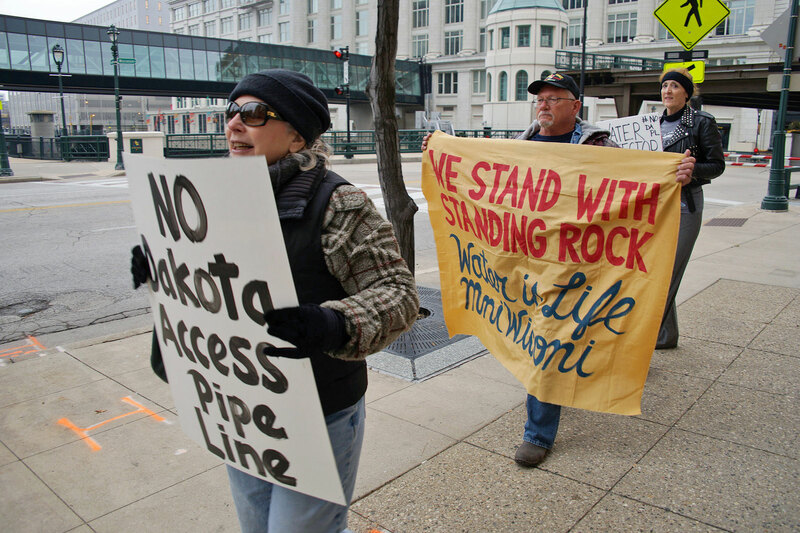 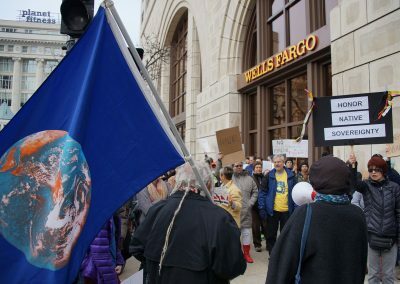 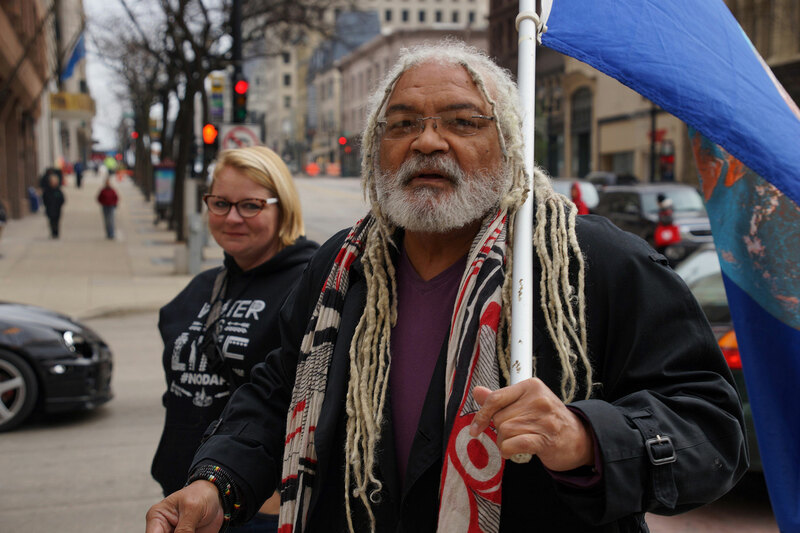 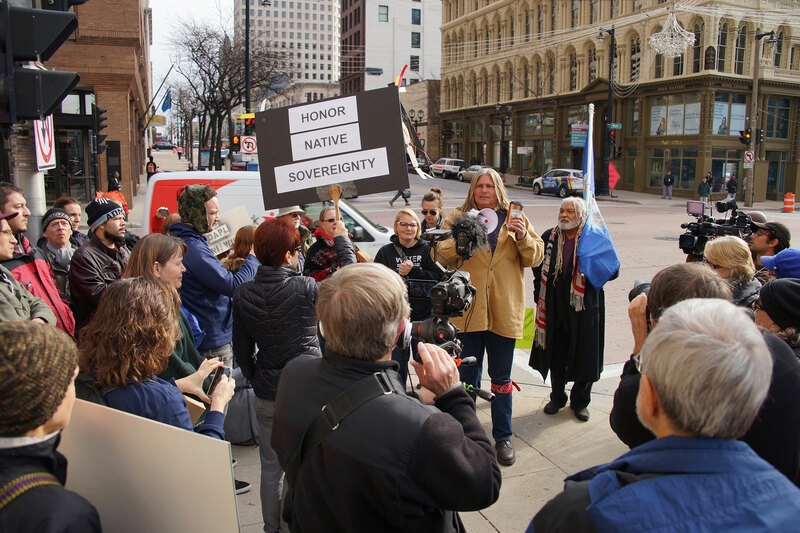 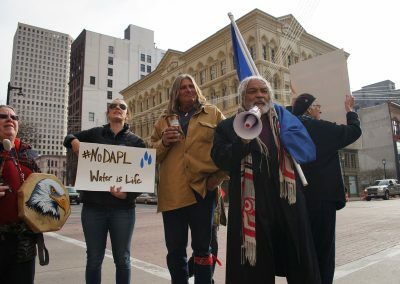 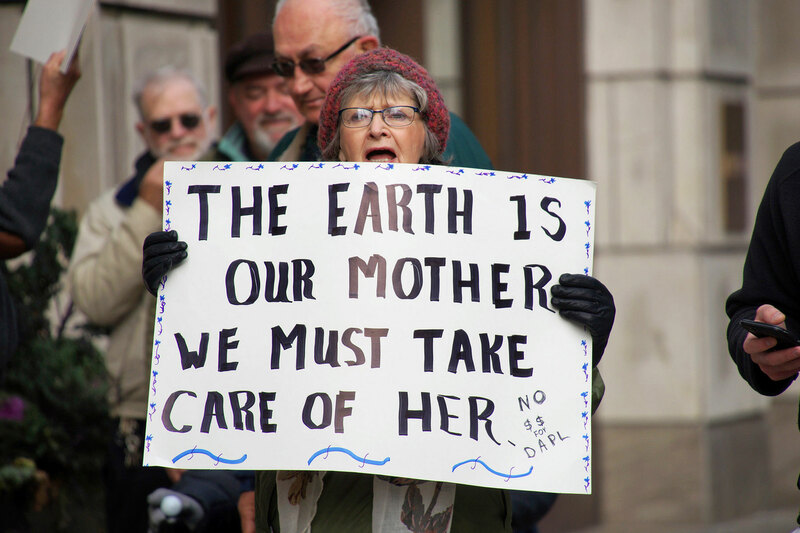 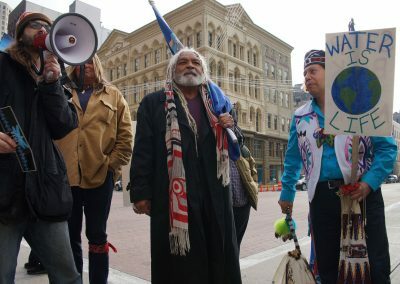 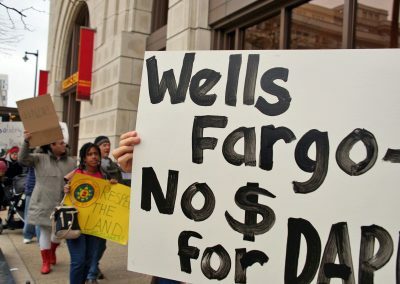 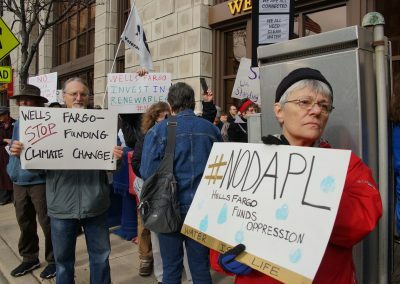 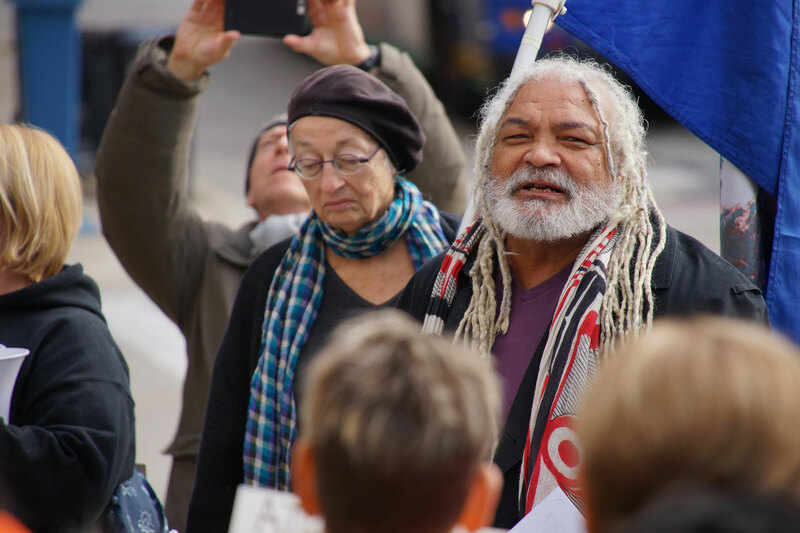 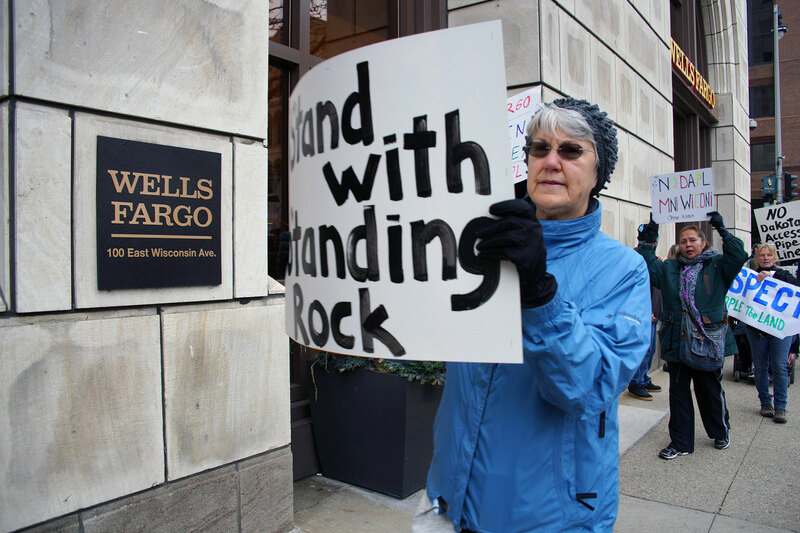 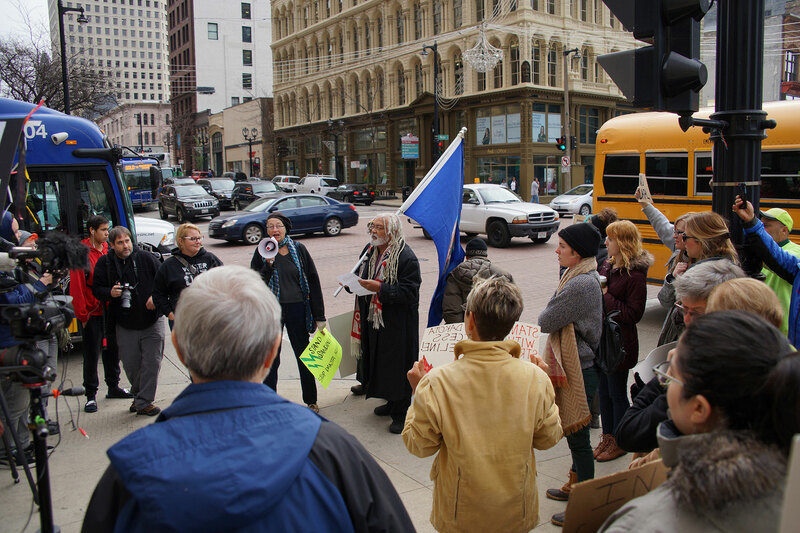 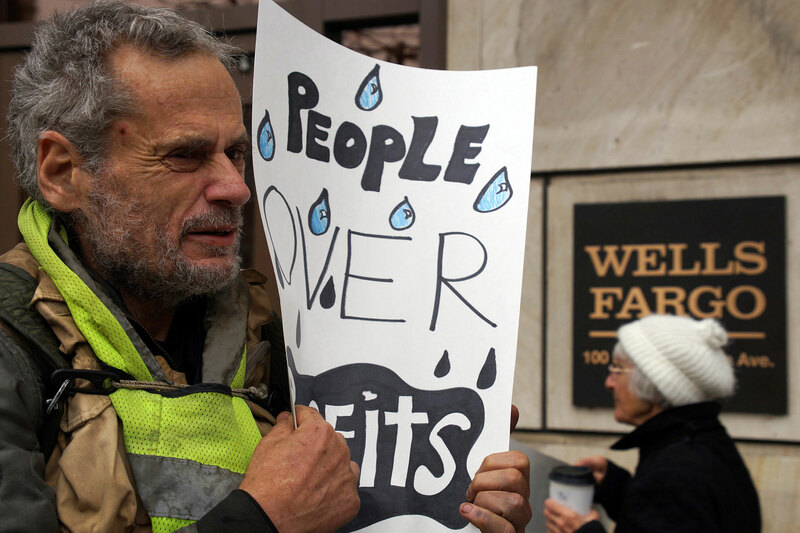 A national day of rallies started in Milwaukee outside of the Wells Fargo Bank on 100 E. Wisconsin Avenue, with the public request that the financial institution pull its funding out of the DAPL construction. 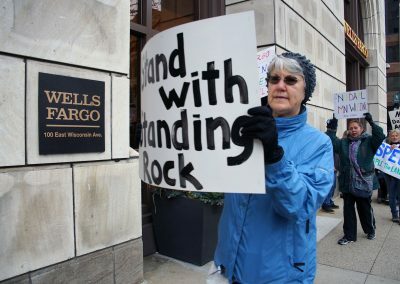 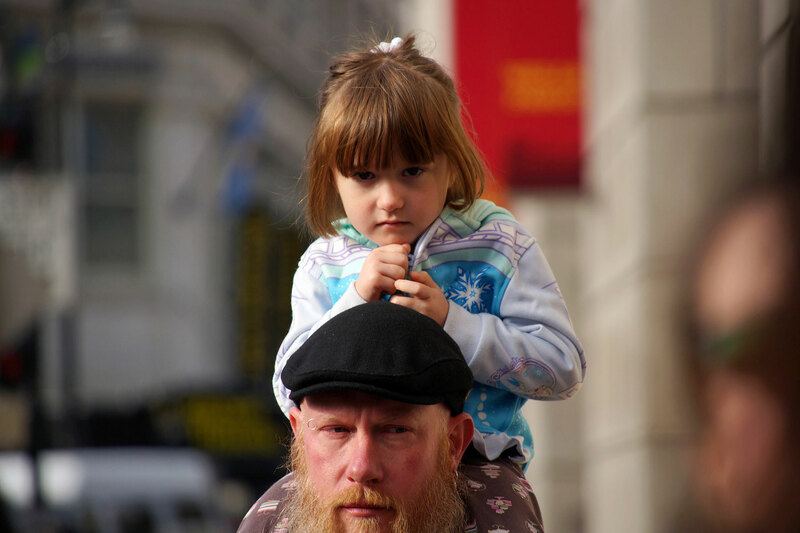 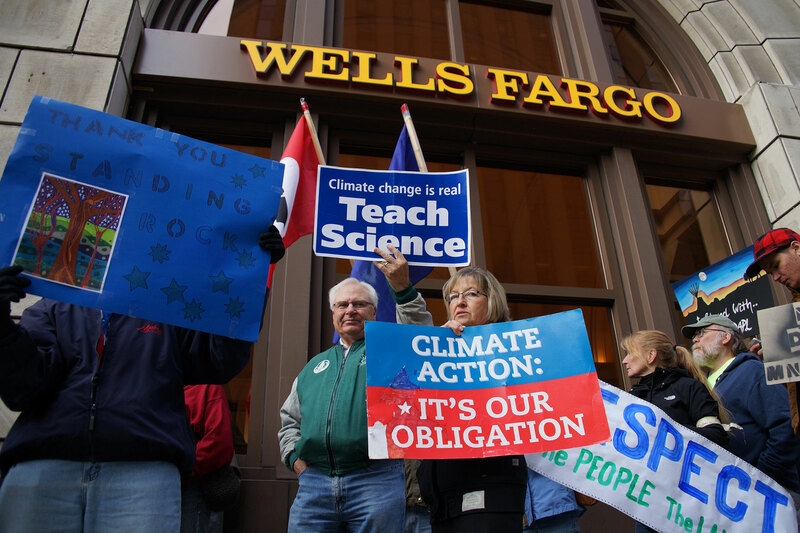 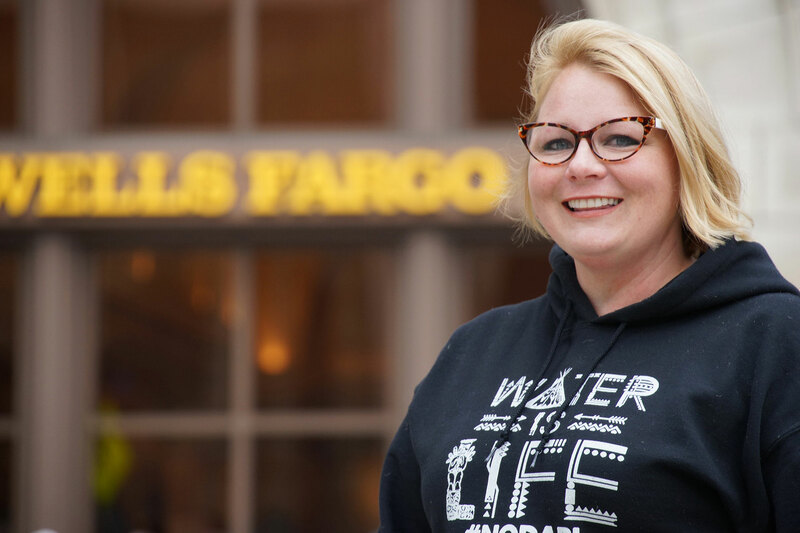 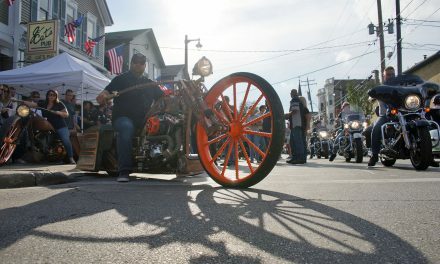 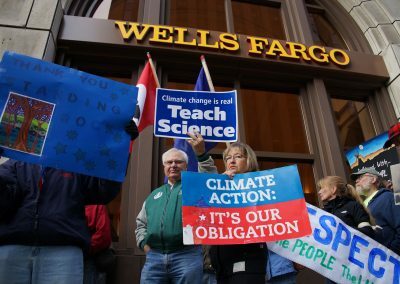 Wells Fargo is one of several national banks financing the pipeline being built by Energy Transfer.